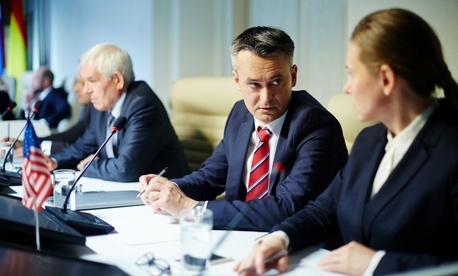 Across the federal government, about a thousand committees governed by the Federal Advisory Committee Act and an untold number of additional committees meet each year to offer advice to improve government performance. Federal leaders devote considerable effort to planning, scheduling and staffing these committees. What does it take to get the best results? Alert leaders to issues or evidence the agency should consider. Help leaders understand how and why key stakeholders will respond to agency action. Add specialized expertise to the agency’s ongoing deliberations. Help agency staff understand and balance trade-offs. Make explicit the standards of evidence appropriate to make decisions. Good advice can come from individuals, as well as committees. To justify all the work associated with convening a committee, government leaders should promote the exchange of diverse views and learn when consensus is possible. For a committee to deliver on that capability, the agency needs to provide the right context. These 10 strategies can help to set the agenda, facilitate productive meetings, select the right members, and follow up afterward. 1. Be concrete about how the committee can add value to the agency. Satisfy statutory requirements, of course, but also articulate the topics and questions where an external Advisory Committee has something to offer that will be different from expertise that is already available in-house. 2. Build agendas collaboratively with the committee chair. On the agendas of each meeting, include issues of high interest to committee members. This increases the sense of collective ownership of the committee’s work. 3. Orient members to serve the interests of not just of the current agency leader or their own constituency, but of the agency’s broader mission to serve the public. Setting this expectation begins with the letter of appointment, and needs to be reinforced in the norms of the meetings. 4. Bring members up to speed with candid and thorough advance material, so that meeting time is not dedicated to briefings but to active discussion. Make the meeting time matter. 5. Meet regularly enough to get the work done and to sustain the attention of members between meetings. Meeting quarterly is usually often enough, but if quarterly meetings aren’t feasible, consider ways to stay in touch with committee members between meetings. 6. Select members based not just on expertise, but also on the ability to play well with others, and the capacity to exercise judgment in the public interest. Sometimes people with the most visible reputations or the strongest connections are unable or unwilling to participate constructively. 7. Solicit nominations for membership from key external stakeholders to stretch beyond the usual suspects. When the agency relies only on its own networks for advisory committee members, it limits the pool of talent from which it draws. Soliciting nominations broadens and strengthens the set of potential advisors, and signals openness to stakeholders inside and outside the agency. 8. Appoint members to a term of service that is long enough to get up to speed and contribute, but not so long that it prevents getting fresh perspectives at regular intervals. Two year terms may be too short to learn the ropes and then add value. A longer term may promote more sustained involvement. Staggered terms help to retain institutional memory, so that some members continue while others rotate off. 9. Follow up on the committee’s advice by conveying promptly whether input and recommendations have been accepted by agency leadership and the reasons why. Provide regular feedback to the committee about when and how their advice has made a difference. 10. Check in regularly to be sure that members believe that their time on the committee is well spent. In word and deed, express respect and gratitude to committee members for their service. It’s important that agencies follow the requirements of the Federal Advisory Committee Act for open meetings, disclosures of conflicts of interest, and balance in committee membership. But compliance alone is insufficient. These 10 strategies will allow agency leaders to get the most value out of the effort they invest in an advisory committee. By making the best use of the talents of committee members, agency leaders get better advice in the present, and make it easier to recruit talented people to serve on committees in the future. Janet A. Weiss is a professor of public policy and business at the University of Michigan.